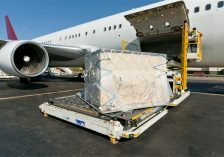 We understand shipping aircraft parts and have teamed up with our shipping experts to build Rite Global Logistics. With our knowledge of both the aviation and logistics industries we are able to provide the best aerospace specific shipping services in the market. On time delivery of correctly certified aircraft parts will keep your maintenance schedules on point.